No roads, money, crockery or music: the ancient Kingdom of Lo was cut off from the world for centuries. Now, you can peek inside. When excavators first came to her village, Yung Du thought they were monsters. 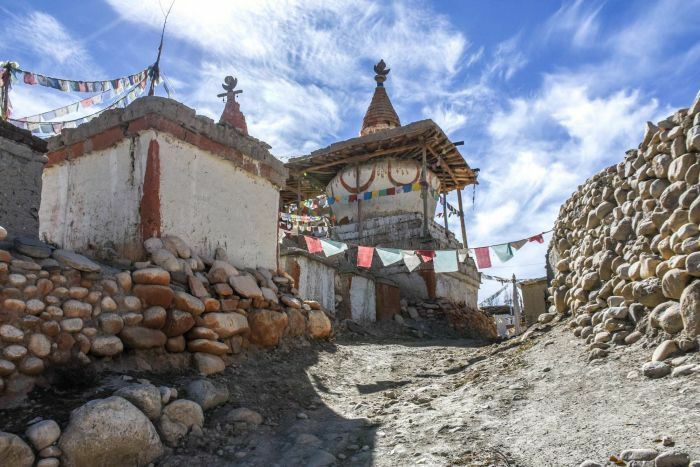 Yung Du lives in a tiny settlement in Nepal’s Upper Mustang, a vast stretch of high-altitude desert that reaches the Tibetan border. For most of her life, there were no roads, no money and few material possessions. The region had barely changed since the Kingdom of Lo was established by the Tibetan warlord Ame Pal in the 1830s. 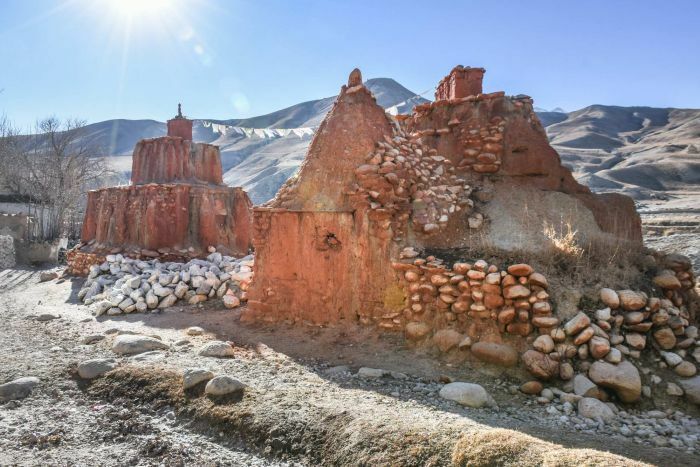 Ringed by impossible mountains and largely ignored by the Nepali state, the Loba people were left to their clay houses, ancient religious beliefs and quiet way of life. 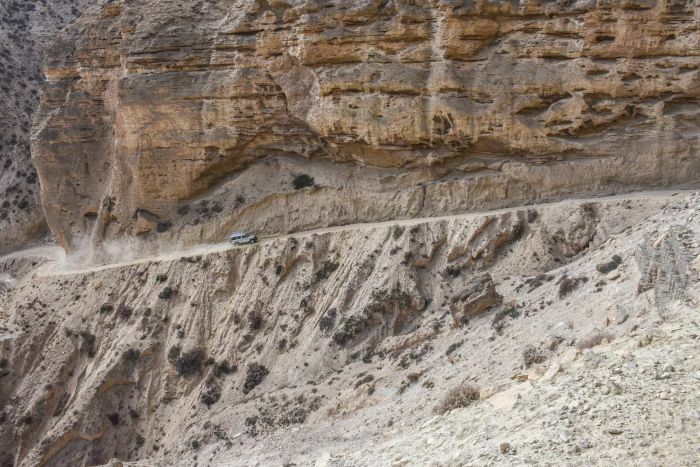 But a new highway from India to Tibet is ripping through the heart of Upper Mustang. And despite her initial fears, for Yung Du, the road has been a lifeline. Until recently, everything was transported on the back of mules. It could take weeks of trekking for supplies to reach her village. But while the kingdom has been opened to the modern world for the first time, its very existence hangs in the balance. 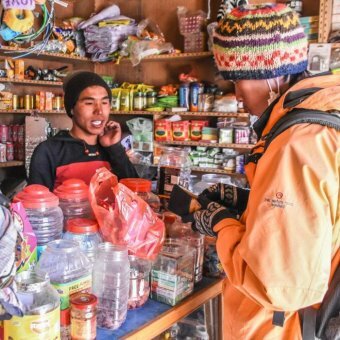 Thanks to the new road, the Loba can now get everything they need at local stores. 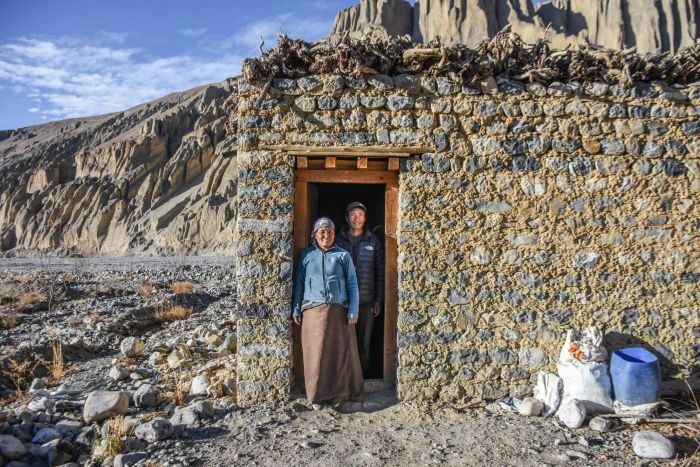 “In our neighbouring district, they still don’t have roads,” says apple farmer Kunsang Rinzin. 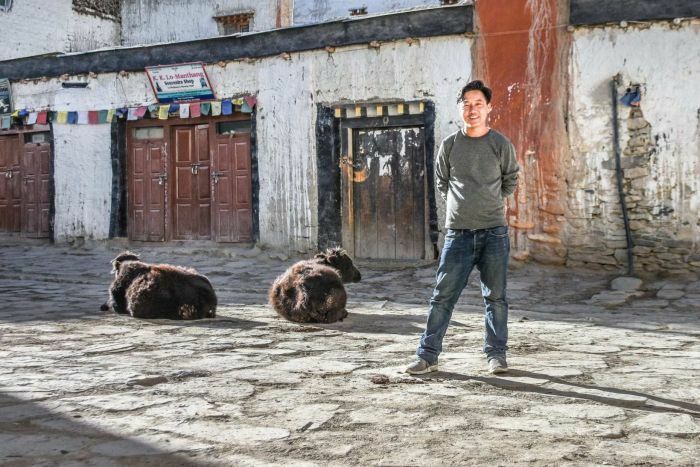 Sangpo’s father opened one of the first shops in Lo Manthang. When he was a boy, sugar was scarce. “Now, little kids buy all our sweets,” Sangpo smiles. Tractor driver Phuntsok, 19, says he prefers “modern life” as Bruno Mars blares over two Bluetooth speakers hitched to his machine. “In my childhood I had no way to listen to music, no phone,” he says. 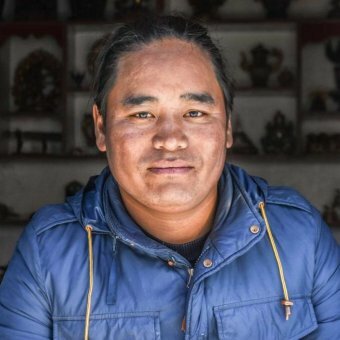 Another local, Tsewang Norbu, recalls life before cups and plates. Without automated machinery, everything was done by hand. Clothes were hand-spun from yaks wool and it took over a month and a half just to bring in a harvest. “Now we have more time to do other things”, he says. While they may have more free time, Loba people are spending less of it with each other. “People say that before they didn’t have so much stress but now everything is too much,” says guesthouse owner Tam Ding. Even the Prince of Lo leads an ordinary modern life now. Until 2008, Prince Jigme Singhe Palbar Bista’s family ruled from their ancient palace in Lo Manthang. But the Forbidden Kingdom of Lo was abolished when Nepal became a republic. Now, Jigme lives in a humble Kathmandu apartment. Despite his family’s fall from power, he isn’t nostalgic for the past. “Because of the altitude, we could grow [crops] only once a year and we had very few animals and that was not enough for us,” says Jigme. The convenience of modern life is alluring, but as in the West, religion has been a casualty. 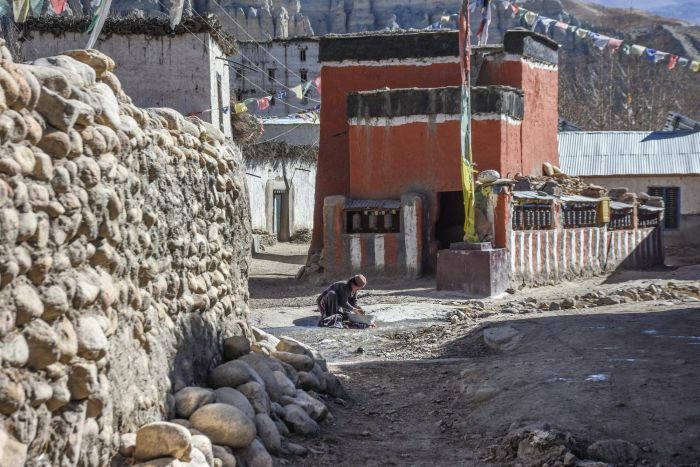 The Loba are believed to practice the oldest strain of Tibetan Buddhism in existence, but it’s losing its pull. 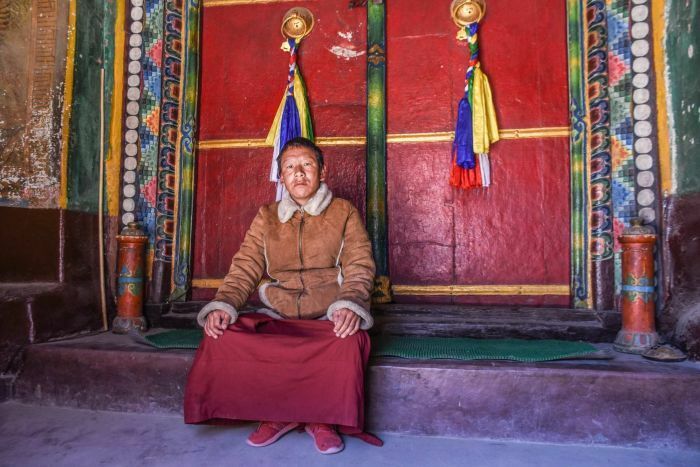 “In earlier times, there were nearly 125 monks here,” says Sakya monk, Jabyang Sonam. Traditionally, the second son in a family becomes a monk, but parents are having fewer children and most prioritise their children’s career over religion. For the first time in history, the Loba have a use for money. Many are moving overseas or to Nepal’s cities in search of opportunity and an easier life. Sonam Hise could not earn enough money in Nepal to cover his family’s modern lifestyle so he’s left them in Pokhara while he works in Malaysia. “My younger son asked me to buy a laptop and a bicycle. If I stay here, how can I support them?” he says. Alcohol and other drugs are on the rise — law enforcement is weak and illicit substances are easy to get. On top of this, masses of high-sugar, processed food has begun to take its toll. “Before, people lived longer lives. We ate local food, all organic and people walked a lot in the fields,” says Bista. Without any hospital facilities, the Loba are ill-equipped to treat illness or the increasing number of motor accidents. 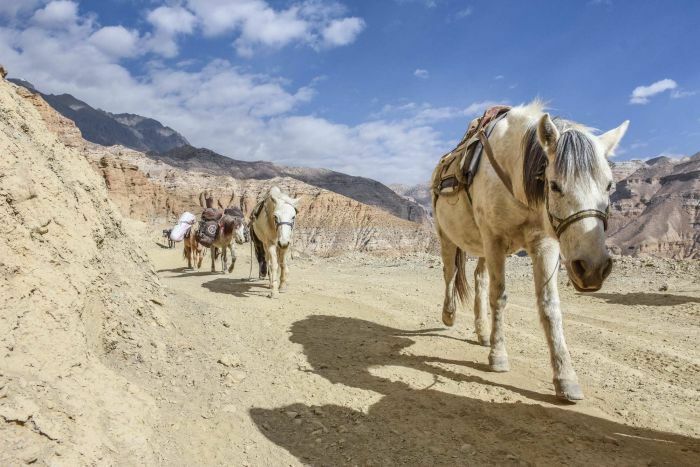 There are over 5,000 inhabitants of the Upper Mustang, but no doctors. 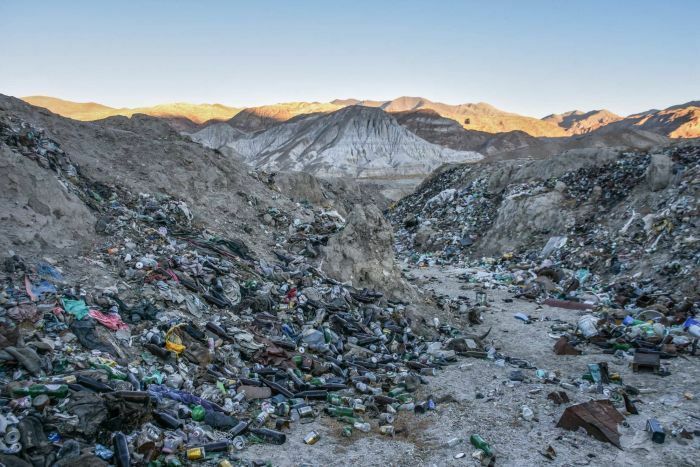 There’s also no waste management, with rubbish dumped and burned in the mountains presenting new health challenges. As more and more Loba leave, the fractured region faces even more change. There is speculation that neighbouring China has set its sights on vast uranium deposits found in 2014. Beijing is looking for uranium supplies, and China and Nepal have recently entered into talks about sharing energy sources. 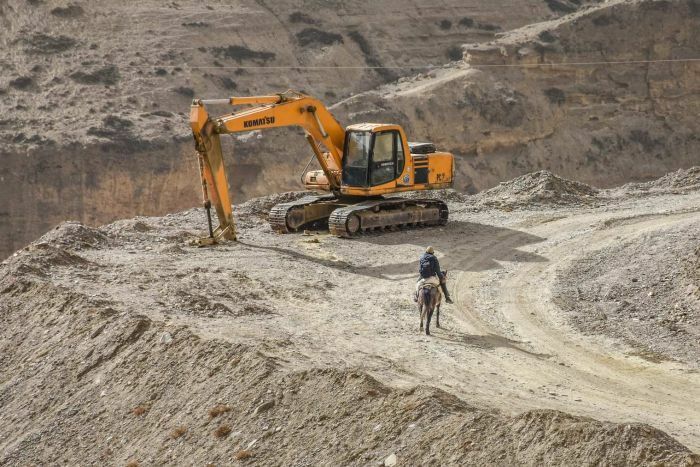 But to start mining, the Chinese and Nepali governments would need the support of the Loba community. Bista believes this is why Chinese traders have been handing out food for free. “They did free food distribution in the Mustang. They brought wheat, buckwheat, barley…” he says. 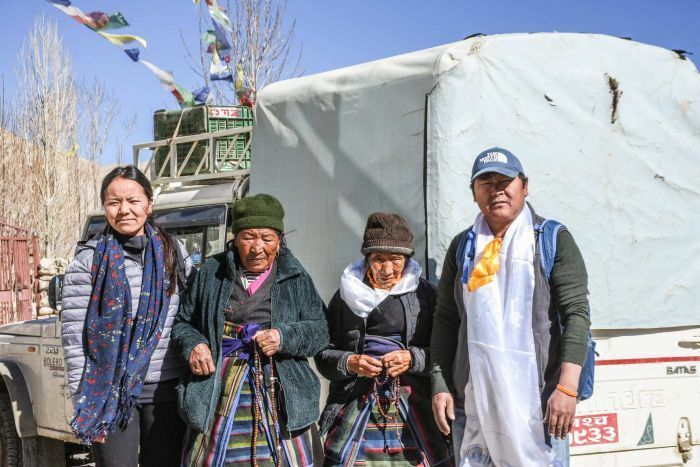 The Chinese traders told Bista and his colleagues at the Lo Manthang Youth Club they had a fixed agreement with Beijing to provide food for five years. “After a while people almost forget how to work. Then there will be some demand: ‘If you do this thing for China the food will continue’,” he speculates. Cooperation between Nepal’s Armed Police Force and the Chinese Public Security Bureau at the border has recently intensified, in an effort to cut down on refugees fleeing Tibet. 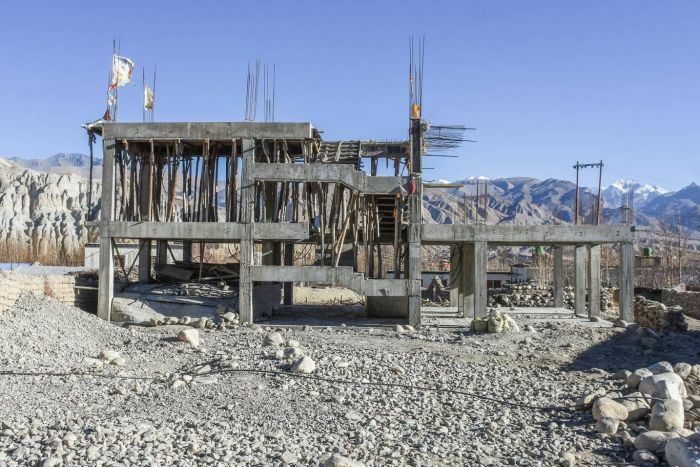 An APF barracks was approved outside Lo Manthang in 2017 and China has also installed CC cameras in the area. Some locals believe they have seen Chinese scouts in their region. 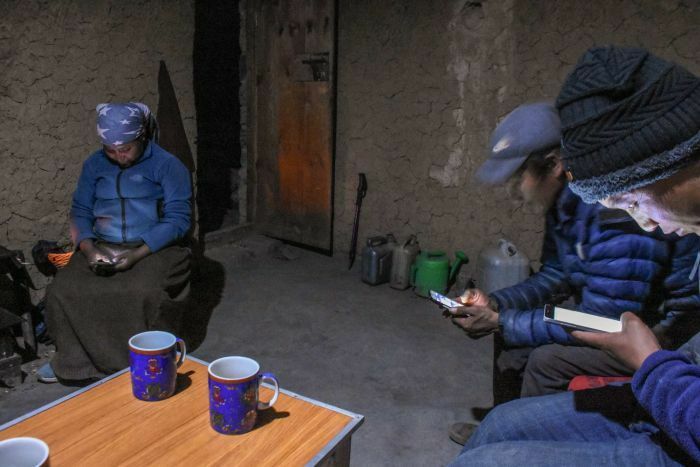 “I remember one person, he came from the border and walked through here and I thought maybe he is looking around to observe how we are living,” says Kunsang. There’s also another threat on the horizon. 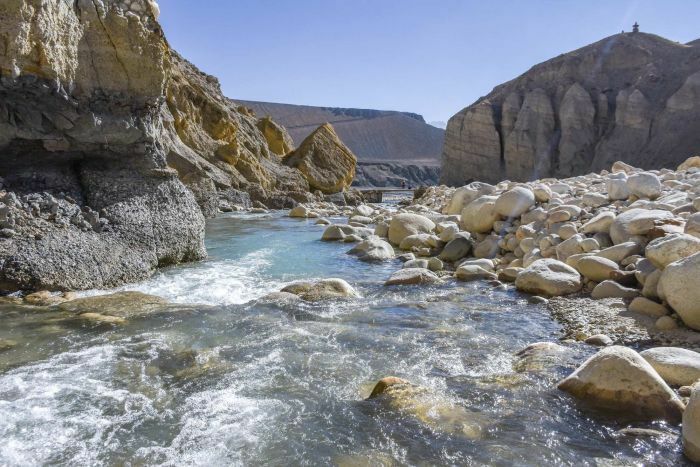 So far, two Lo villages have been forced to resettle because of changes in the climate. 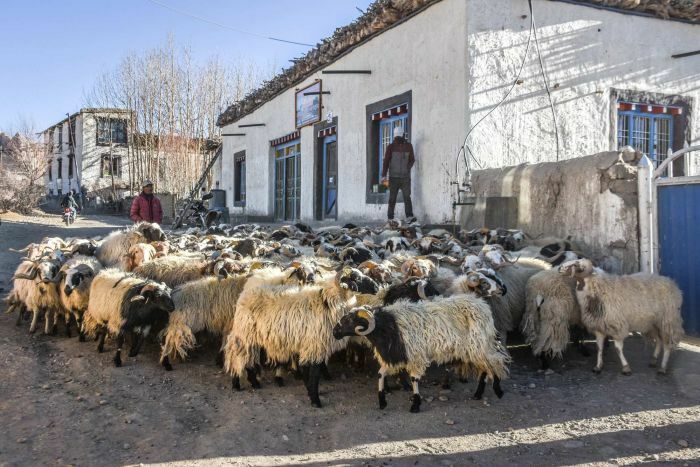 Eight years ago, Kunsang’s entire village was forced to move when a water shortage meant they could no longer irrigate their crops. “In earlier times all the Himalayas was covered in snow in winter time, and then the snow would melt and water would flow down. Now, one year the snow falls and the next it doesn’t,” says Kunsang. The Forbidden Kingdom of Lo is on the brink of certain change and time is running out. Unless the Loba are able to adapt, their kingdom may be lost forever. Previous articleWill 2020 Be the Beginning of a Socialist America?